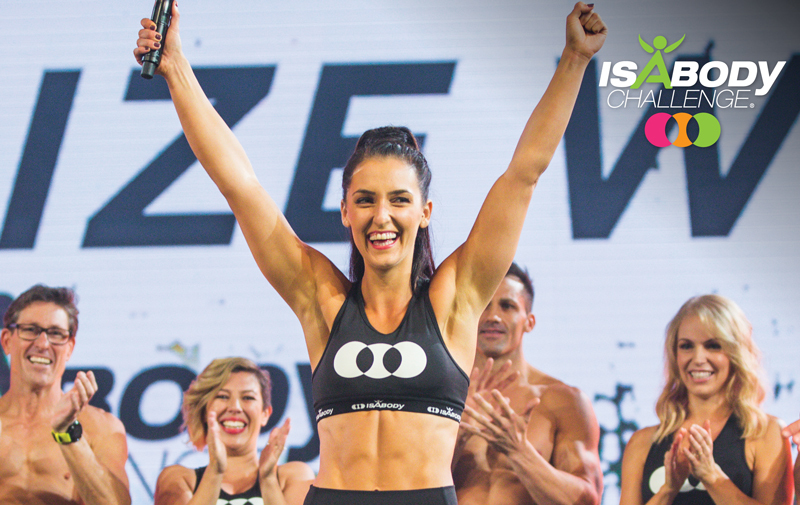 2018 IsaBody Challenge® Grand Prize Winner, Claudia Tomczyk leads by example. Having completed four IsaBody Challenges, Claudia’s energy and passion for helping others to achieve their health and wellness goals is the secret to her incredible drive. Overcoming unhealthy habits with laser-vision focus, the 24-year-old prides herself on being an advocate of health for all ages, with her brand-new title just one of the many goals on her overflowing vision board. With 2018 IsaBody Challenge Grand Prize Winner a goal on your vision board for years, how did you feel when you were told you were a Finalist and officially in the running for the title? When I was announced as a Finalist, I felt incredibly proud of how far I’d come. It hit me that that I was one step closer to my goal that I’d been manifesting day in and day out for the past two years. Becoming an IsaBody Challenge Finalist reinforced my belief that anything is possible when you keep going. When I was announced as the 2018 IsaBody Challenge Grand Prize Winner I was shocked – my dream had just come to fruition right in front of my eyes. Earning this title allowed me to reflect on the deep commitment, consistency and determination I put into each of my Challenges, and my life, to reach this milestone. How have your goals changed since being announced the 2018 IsaBody Challenge Grand Prize Winner? I believe that there is no maintaining, you’re either moving forward or moving backwards, whether it be physically or mentally. I strive to be the best possible version of myself, so I’m continuing to challenge my body with every workout. I have some new fitness goals to hit in the gym and my goal is now to maintain my physique all year round. Most importantly, I feel so incredibly healthy and energetic that I don’t want to ever feel less than that ever again. What is your advice to those currently completing an IsaBody Challenge? I have a responsibility to show all other IsaBody Challenge participants that they can achieve their goals. The most important thing before starting your Challenge is to find your ‘why’ – ask yourself what is it you want to achieve from participating in the Challenge and commit to making it happen because it IS possible. I want people to understand that results don’t happen overnight but that doesn’t mean that change isn’t possible. It’s all about having faith in yourself and accepting that it’s now about a lifelong journey to health instead of a quick fix, so patience and consistency is important. There will be times where you feel like quitting but that’s when you need to remember why you started and keep that goal at the forefront. What’s the next step for you in your health and wellness journey? It’s no longer just about me anymore. My goal is to pour love and belief into others by showing them what’s possible. I have big goals and aspirations and I cannot wait to continue to share my journey with everyone. I want to create a global impact and be the inspiration that drives people to achieving their goals.